In the next chapter of one of the greatest success stories in Australian music history; Kerser returns with third album S.C.O.T. Since releasing debut LP The Nebulizer only two years ago, Kerser proved himself an unrelenting force to be reckoned with. Despite his rapidly increasing popularity reflected in the charts and on social media, the Campbelltown native continues to be turned away by major radio stations. But the absence of radio play has proven almost irrelevant to Kerser. The unconventional yet democratic nature of his rise to fame has indicated the start of a new model of music business, free from the filtration of radio programmers and the limitations of genre quotas. Kerser The Anomalous has single-handedly created a loop hole in the system, and its working. During the weeks surrounding the release of second album No Rest for the Sickest, Kerser charted at #1 on the national ARIA Urban charts, #1 on the iTunes Hip Hop charts, and #14 on the overall iTunes charts. 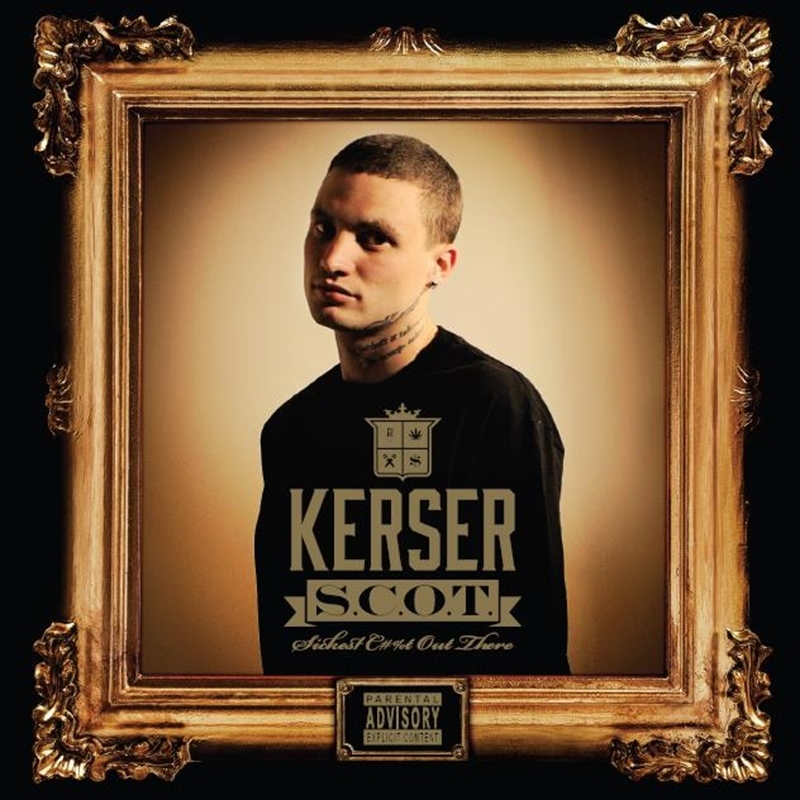 After a series of tours, festivals, and single releases, in August of 2013 Kerser released his first live tour DVD to an overwhelmingly positive reception debuting at #1 on the National ARIA Charts above P!nk. Now with nowhere to go but forward, Kerser and faithful beatsmith Nebs have polished and perfected their trademark sound in the form of S.C.O.T. 4. What Tha F#%ks Up?